In a documentary set to air tonight called Apple’s Broken Promises, BBC One went undercover at Pegatron, one of Apple’s main supply chain partners in China. The findings from inside Pegatron’s walls show that “Apple’s promises to protect workers were routinely broken,” according to the report. Another alarming revelation was that Apple could be using tin dug by impoverished children in illegal Indonesian mines. Apple is denying the allegations, but BBC One is committed to unearthing a sensitive topic the iPhone maker has spent years trying to put to rest. BBC One found “standards on workers’ hours, ID cards, dormitories, work meetings and juvenile workers were being breached” at Pegatron, which employs over one million Chinese works to make devices like the iPhone 6. 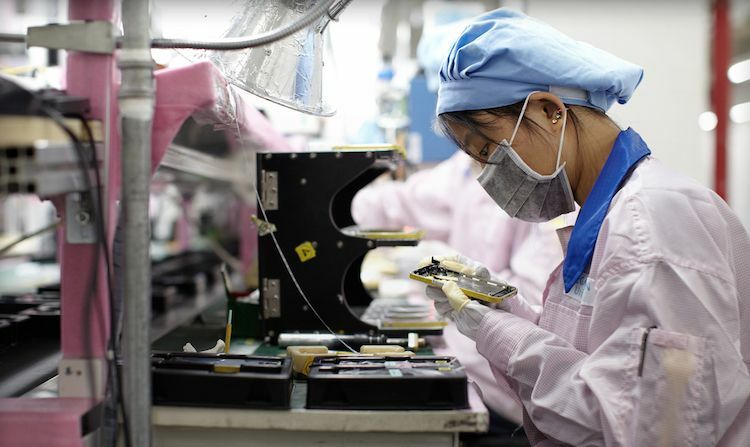 The poor working conditions observed by undercover reporters posing as factory workers are reminiscent of The New York Times’ 2012 findings at Foxconn, Apple’s largest supply chain partner. For what it’s worth, Apple is widely considered the most transparent corporation on earth in terms of regulating its supply chain partners. It regularly publishes updated responsibility reports and lists detailed data about its partners on its website. After airing tonight on BBC One, Apple’s Broken Promises will be available for streaming on BBC iPlayer.